For estimating auto body and Automotive Maintenance Shops! It covers all aspects of the paperwork needed for any automotive repair. Write all jobs with area to summarize labor, list parts, quantities, costs and more. For accident and collision centers: Designed and preprinted areas for labor, parts, quantities, costs and more. Keep up with customer acceptance: Signature line for customer authorization prevents disputes. 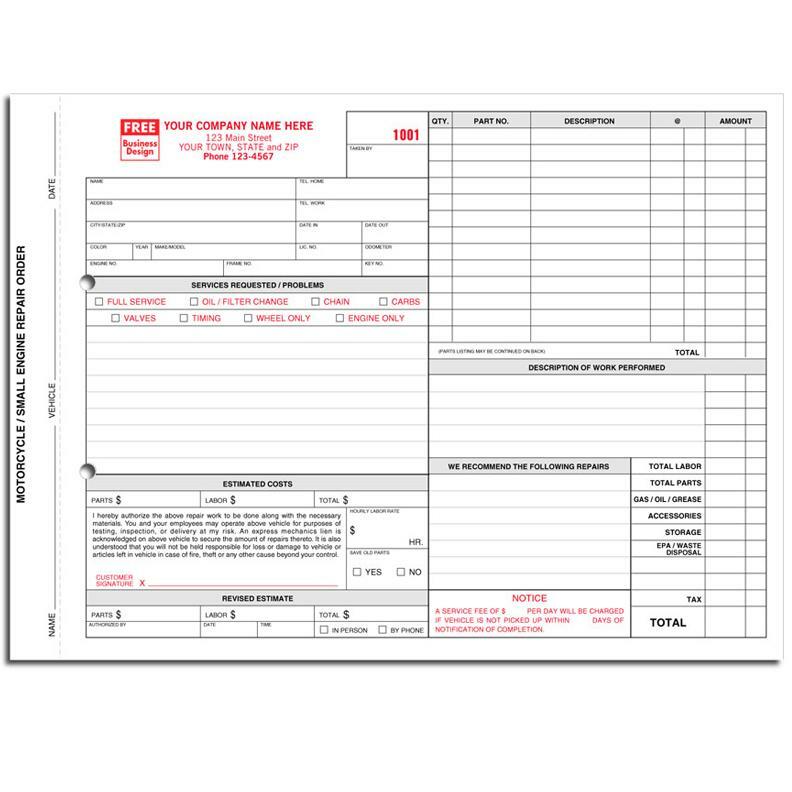 Write up records: Carbonless forms stay tightly aligned for clear, clean copies. 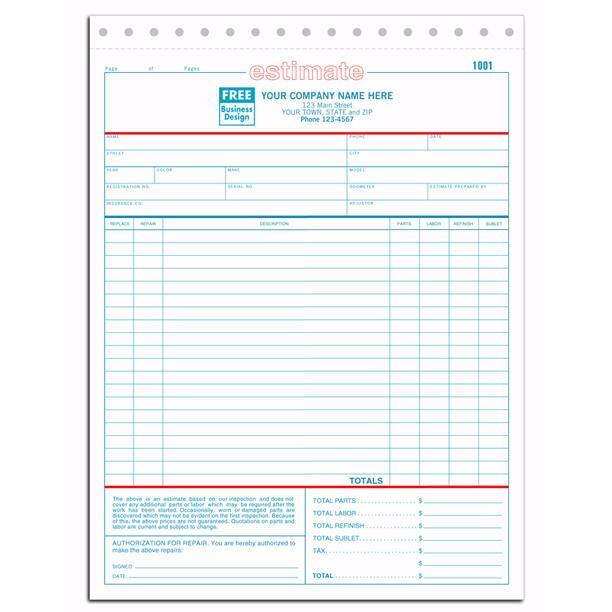 Customize for free: IAdd your business imprint plus logo. Build your brand: Additional customization options include imprinting your custom logo. Use the repair estimate form to complete an estimate of auto-body repair costs. Mechanics should evaluate the car first by breaking down its part, labor cost, materials needed etc. Car Collision Repair Estimate!